On Stenbury Down above Appuldurcombe House,near Wroxall, an obelisk was erected in 1774 by Sir Richard Worsley in memory of his ancestor, Sir Robert Worsley. In 1831 the monument was struck by lightning and partially demolished. 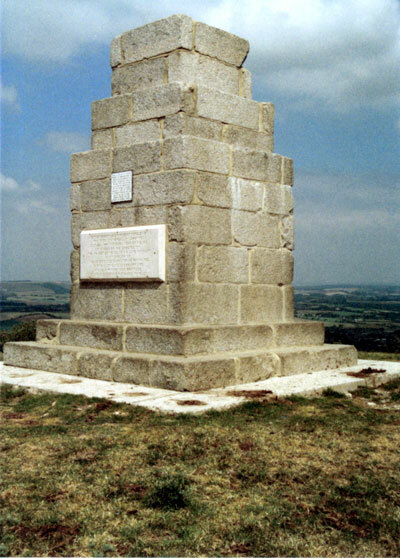 It remained in that state until 1983 when it was restored, although not to its original height, by General Sir Richard Worsley with the assistance of the Isle of Wight County Council and the people of Godshill Parish.